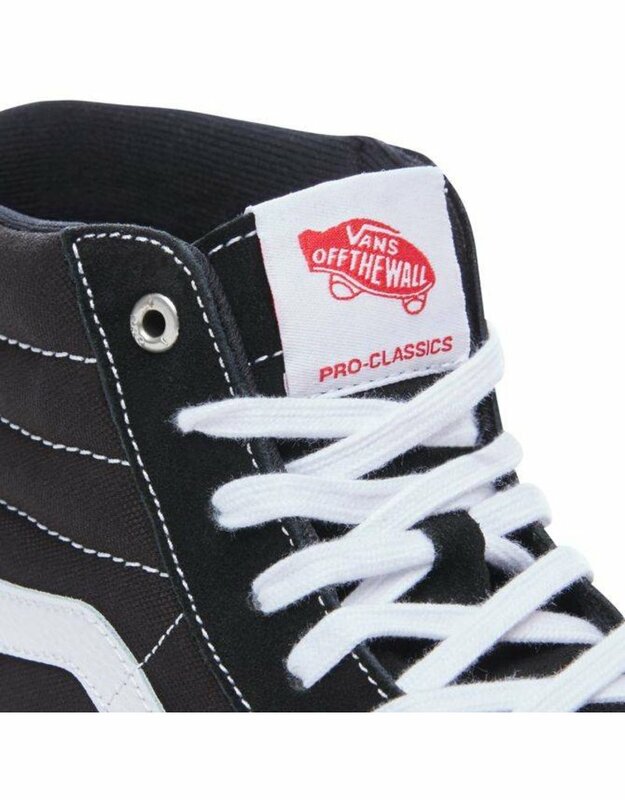 The Vans "Sk8-Hi Pro" Shoes - Black features the Vans classic upgraded for enhanced performance with suede and canvas uppers, single-wrap foxing tape, UltraCush HD sockliners to keep the foot close to the pedals while providing the highest level of impact cushioning, and Vans original waffle outsoles made of a rubber that offers grip and support. 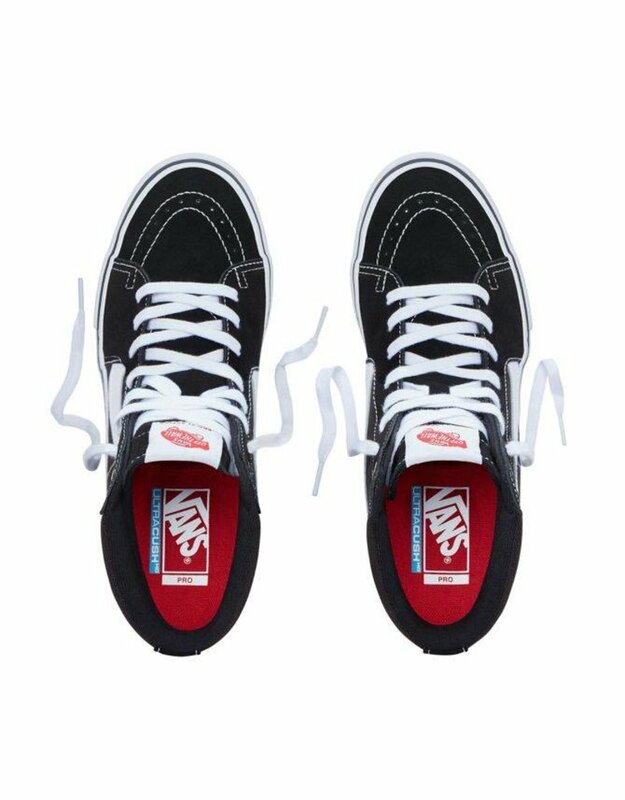 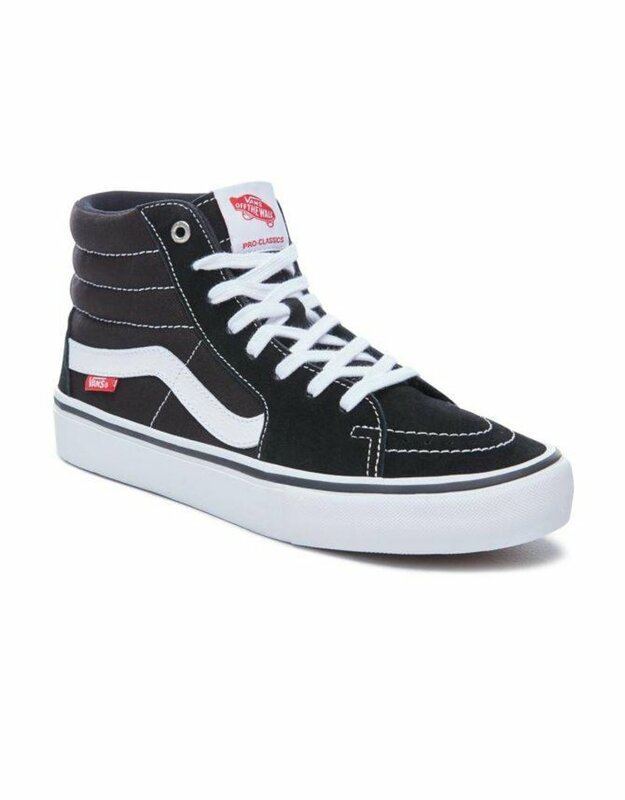 The Vans "Sk8-Hi Pro" Shoes - Black also includes DURACAP reinforcement rubber underlays in high wear areas for unrivaled durability. 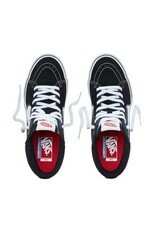 Vans X Independent TNT "advanced prototype" Pro schoenen okergeel.